Bruno Mars is going back to Jakarta. Have you booked for the live music concert held on April 15, 2013? If you are a great of his, better reserve it early or else the live show won't be for you. I personally would never recommend Bruno Mars to stay so long in Jakarta, unless he prefers to live here to get used to pollution and terrible traffic jams. The concert itself is not conducted in Jakarta but some 30 kilometers away from here in Sentul. Bogor. As some world people know, Jakarta is not like other Asian capitals with lot of things to see. It's crowded, polluted without much to offer to tourists. If you recommend Bruno Mars to visit Monas (Monumen Nasional) to admire just an obelisc in the middle of a park after he's done his concert, he might have his own live show in the park without people know who he is. Lol. So, what else after April 15, 2013? 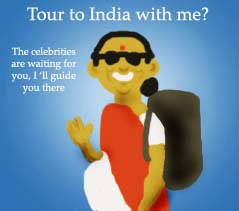 That the tour continues to a couple of museums and to Gambir train station? What is Bruno Mars going to do there at the train station? There the boring thing as you can see during peak hour are people on top of the train (rumors has it that this kind of worn out economy train will be removed and replaced by the air-conditioned commuter line system). He can go to Taman Mini, Ancol, Dunia Fantasy if he likes. But actually, to the local, it's nothing so special to talk about. Cynical people would probably like to say, there are a lot more things to see in Bangkok, Singapore, Hong Kong or other Asian cities. So, Mr. Bruno Mars, just finish your live music concert and leave Jakarta happily. Or come back here someday to see the huge floods. Lol! Yanni Will Give You Free Ticket in Dubai? 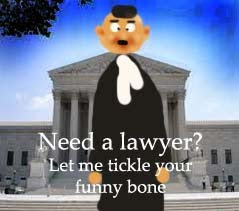 Need a lawyer like him? 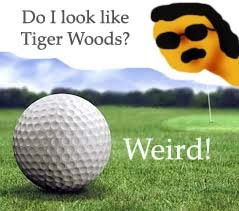 Tiger Woods gives you free ticket? 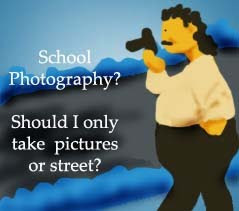 Street, your school of photography?